ChainLink Research : Research :Workers Wanted--or Not? At every conference you attend, in every supply chain and transportation magazine you pick up, there are discussions about the talent gap. Our diverse sector, from the long haul truck drivers to the supply chain executives, has a well-compensated work pool, reflective of globalization, consumerism, and a shift in lifestyles. So how long will the talent gap last? 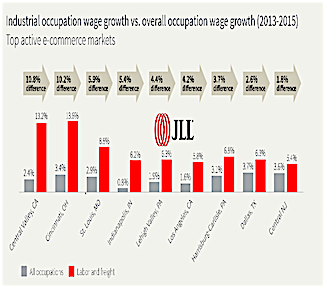 Executives across the supply chain landscape are declaring worker shortages. Surveys, job boards, magazine and newspaper ads, and LinkedIn recruiters all validate the very real demand. 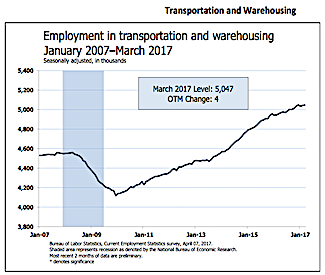 Economic and survey data show that pay scales for truck drivers, warehouse workers, and IT entry-level jobs continue to increase. Universities and even community colleges are now churning out graduates with majors in supply chain. Transportation companies are offering signing bonuses and reflecting more lifestyle sensitivity to attract reliable workers. When I first contemplated writing this article, I was inspired by how supply chain now produces so many good jobs, and a new generation of smart professionals1 is entering and claiming leadership. But as I looked at parallel trends2 in other professions and industries, it became important to explore whether this demand would be sustained, and for how long. After all, after thousands of years of virtually everyone being a farmer, it only took a hundred years or so in America to reduce the farm worker population. In 1870 about 50% of Americans were farmers. By 1910, with the beginning of full-scale industrialization, only one third of Americans worked or owned farms. By 2008 only 2% of the population did so.3 Farmers have become very productive, increasing yields through better genetics, farming techniques, and technology. The notion of farming as a romantic relationship with the earth has been replaced by autonomous tractors guided by GPS, RFID, and software. The net of all this is fewer workers, yet an industry that provides fresh food all year round and is one of the largest export sectors in the US. Our amber waves of grain are in demand worldwide. Today, manufacturing has followed a path like the one that affected farming 100 years ago. 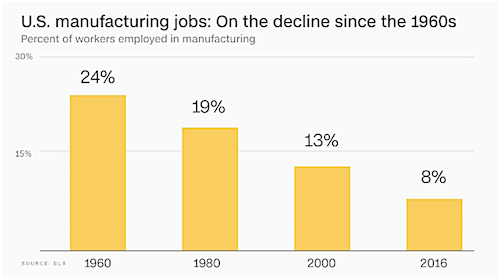 During the last ~25 years we have been watching and living through a similar change in manufacturing. If you look behind the numbers, the myth that we have lost our manufacturing leadership to others is dispelled. In truth, during the past 25 years, the value of goods produced in American factories has increased by 73% (after accounting for inflation). But the number of jobs to deliver all that value has been cut in half. If you look at the downward trend over the decades, you will see that the decline in jobs began long before NAFTA and China were part of the equation (see Figure 1). But there’s a funny thing about national economic data—you can have a US corporation generating billions in sales, even paying their U.S. taxes,5 yet have virtually no employees, with only a showroom and small office in NYC. That hollowed-out corporation can do it all—design, procure, and manufacture—elsewhere. So the corporate reported income is there, but where are their jobs? We’ll come back to this issue later, since, ironically, NAM reported there will be demand for about 3M workers in the near-term years. Yet, executives consistently declare they cannot find skilled workers, from machinists to various specialties. So we should add some manufacturing jobs to our list of job shortages. The press and government surveys continue to headline the job demand in supply chain with particularly large numbers of openings in logistics. That includes managers, analysts and planners, as well as blue collar jobs. Brands, OEMs, and retailers, as well as the huge healthcare6 provider industries are going through a major shift in how they provide fulfillment and care for customers. 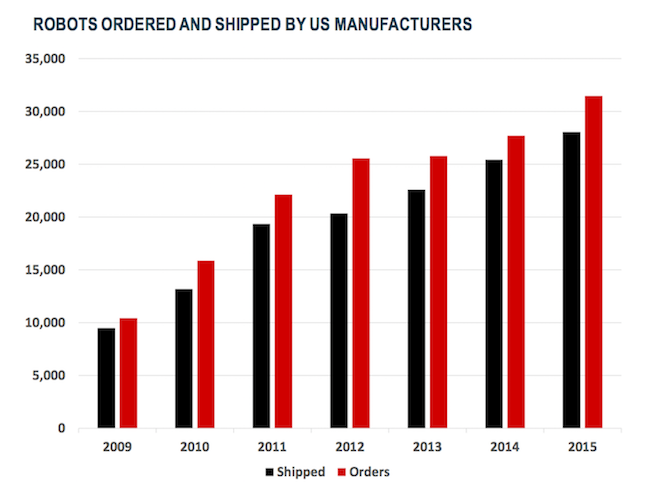 Ecommerce is driving a redesign of the fulfillment network, including the building of new warehouses and the redesign of store formats across the country. This is driving the demand for warehouse workers (see Figure 2-A). Warehouses have one of the lowest retention rates, but experience results in substantially more productivity. So wages have gone up in key markets (see Figure 2-B). And the worldwide population is increasing, giving rise to a new and larger generation of consumers. These consumers’ demands—a vast array of goods and high availability—tax the innovation, production and logistics of global firms. So naturally, more supply chain personnel are needed. Big data—huge pools of consumer, product, and trade data—have created new jobs for planners and data scientists. New applications have emerged, the must-haves for supply chain managers today, such as analytics on mobile devices. Delivery personnel frequently show up with tablets rather than clipboards with their trip plan, schedule, and arrival fully guided by smart, mobile logistics and platforms. Drivers are in demand. Jobs, from long haul to LTLs, frequently offer signing bonuses. Don’t want to be away overnight? How about a van or shuttle driver? Or Amazon Flex, Uber, parcel, or medical supply delivery? Don’t want to drive? Then how about an engine mechanic, electronic repairs, dispatcher, yard/gate security? The transportation industry is loaded with openings with a compensation range of $25 to $50 per hour. Worried about losing Obamacare? Many companies offer benefits, too. This is a job that can’t be outsourced to India or China. Yet many positions go unfilled. The jobs have gotten more interesting and less difficult with better route and load planning for delivery trucks, providing better workdays for drivers and a little less back strain. Yet we can’t hire fast enough. What if you ran a multi-million-dollar trucking company and could not fill the drivers’ seats? You see increasing demand for more loads, new business opportunities in regional or mixed services, but you can’t grow since those seats remain empty. Would a driverless vehicle look enticing to you? Or even a drone? 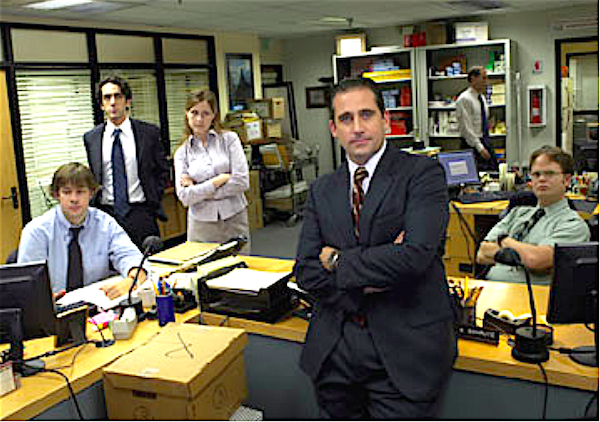 When I used to teach supply chain, I could easily get the attention of my young students by showing them examples in the media of top supply chain people, their stellar careers, and their compensation. But beyond the big splash, this is a very lucrative field to be in right now. At the top of the pay scale we have the VP of Supply Chain, VP of Logistics, and Chiefs. Stats vary a bit, but we are talking about salaries of $150K to $300K7 or more (into the millions for the largest corporations). And unlike the CIO, who has an average two-year reign, supply chain managers and executives can ‘keep’ their jobs, although the turnover can be high due to the demand for the best people. What Happens If We Don’t Fill These Jobs? In addition, emerging sectors like smart/green energy, which is forecasted to be a more than trillion-dollar industry by 2020, has few takers from the current workforce in the U.S. (China is totally happy to jump in here, planting their flag on many of the industries of the future.) CEOs of smart/green energy companies have frequently told me it is hard to open a factory in the U.S., since they can’t find qualified people. Beyond supply chain, many other professions have shortages10 that are expected to last into the next decade.11> That’s a problem for society, but also for our profession, since we compete in the same labor pool. (See more at U.S. Department of Labor.) A shortage of qualified job seekers obviously slows corporate growth, but it also slows the economic growth of the nation. Many economists and researchers from institutions such as The Conference Board12 and Pew, as well as stats from job boards like Monster and Glass Ceiling, and consumer researchers point out that our current educational curriculum is not churning out the right type or enough qualified professionals to fill these slots. Hence, companies may not be able to count on a skilled labor supply when planning their future. With that high demand and the inability, often, to fill it, naturally enterprises must turn to other sources. Who Will They Turn To? Of course, the question is, are we just transferring job openings to the tech company? Tech companies, however, have designed their services so they can get some economies of scale, and one supply chain analyst may support portions of many people’s jobs. That said, they also suffer from a shortage of super-qualified people, generally required to be more senior than their customer is, since they are relied upon to guide. Yes, and no. Right now we are seeing more and more automation of warehouses—not a new trend—with robots successfully doing more picking. Roxy the robot delivers meds to the floor in hospitals and is smart enough to stop in front of a specific location, a patient’s room. 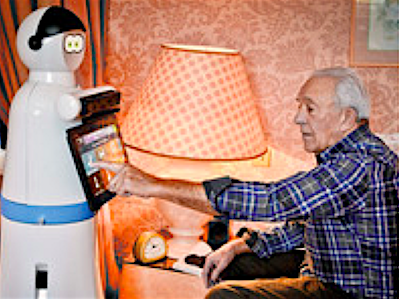 Seniors who are home bound can also have their own personal robot to take care of their basic medical needs and provide some companionship too. 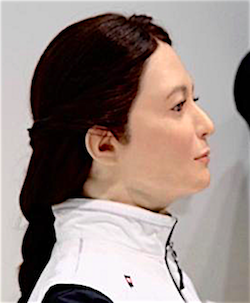 An autonomous robot has very nuanced attributes we may associate with being human. But today, obviously, more repetitive roles can be filled by drones who can work at night in a store or warehouse doing inventory cycle counting and even some security tasks. Beyond the back of the shop, robots may soon be seen delivering cases to the proper location to restock shelves in stores. When you see this, it begins to feel like people are now taking orders from the AI inventory ‘manager’ and its robotic partner. The software decides when to order, when to restock, and where. Does the human job, then, become merely stocking a can on a shelf? And with IoT gaining more ground, remote diagnostics will increase. One can visualize IoT-driven remote diagnostics and a robot dispatched to replace a part in equipment on the floor becoming routine. Warehouses, as we said, are popping up all over the country and with the increasing demand for next day/same day delivery, super-fast and accurate picking is essential. There is a reason Amazon paid $775M for Kiva. 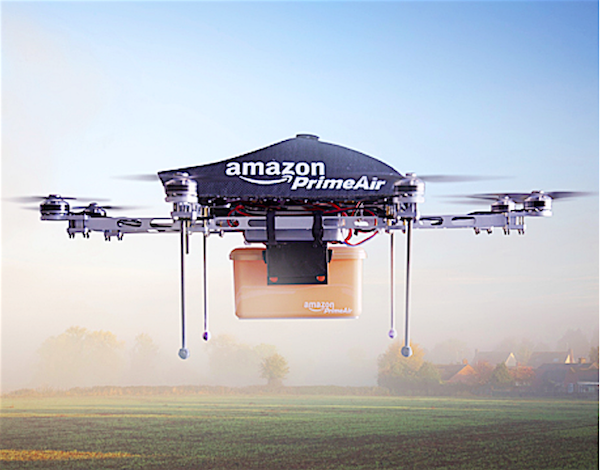 And what about those driverless vehicles and drones for parcel transportation? Of course, our white collar jobs are safe, right? Actually the white collar jobs have slowly been eroding over the decades due to analytics and smarter software. The purveyors of AI and machine learning are proposing better, more reliable answers from machine learning. (For some, this is preferable to managing the messy world of people.) And most importantly from an economic standpoint, if we can’t get people, we will need robots in every field to assume a greater role. The more immediate problem for many people, of course, is being displaced by cheaper labor. Putting the union/nonunion debate aside, outsourcing continues to be a huge threat. Currently, everything from payroll, call centers, and data entry has moved off shore. Most high tech firms have off-shore development not only in India, but across the globe, including Russia. The office worker, we know, is not immune. Planners have been kind of a protected species for decades, but that could change. Many skilled jobs can get filled by H1B workers.21 I admit, in the past, I availed myself of the opportunities afforded to bring young, bright Indian and Chinese people to work for our department when I worked for a big international firm. So I can understand why this happens. 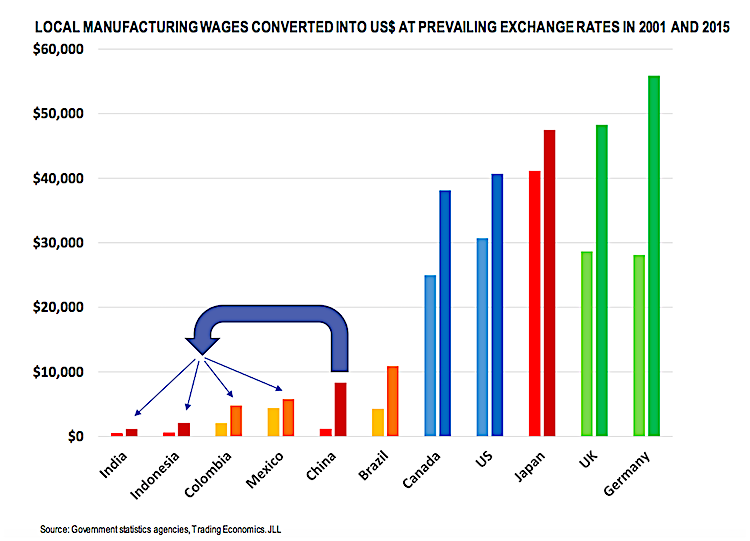 But as we know, basically all U.S. jobs and salaries compete on a global scale, with wages set more in step with international pricing than within an isolated region (see Figure 4). The exception is high-demand professions, like our supply chain jobs. However, as more countries gain supply chain expertise, that will also change. Unmet work demand cycles in most countries are met over time by private/public partnerships: Government, business, and academia work together to create opportunities and churn out a workforce to fill those jobs. However, today, what we see is mostly on a small scale with business and academia trying to cope. That won’t be enough for businesses and societies to maintain a strategic position in innovation and productivity. Industrialized nations, where population growth tends to be lower, have turned to outsourcing, providing opportunities for developing nations to provide services and people. However unpopular that may be, it seems to be one of the few ready options. That means we may lose out over the long term in terms of the lucrative track we are on now. Selfishly, I would like us to keep the luster we have, since it encourages the next generation to join the party. In addition, smarter technology will continue to play a greater and greater role. As the tech industry hones analytics and IoT apps, they will become accessible even to the smallest companies, giving them access to the productivity and decision-making abilities that larger firms have. Overall, this is just too big a problem without government intervention of some type, and that is just not in the thought process of Washington these days. Hence, the solution will require more cooperation among companies to reach out with even greater effort to capture the interest of younger students. We can’t simply wait for graduates, or even undergrads, though that is a good and expedient place to start. The thrill of making things or participating in discovery through analytics, being part of the team that solves big problems, or even being the gal or guy that arrives at the customer’s home and solves a genuine problem can be communicated to youngsters. If we have the will, we will have a way. The Guardian: Self-driving trucks: what's the future for America's 3.5 million truckers? 3 With ~2M farms. That number is declining with an aging farm population and increasing consolidation of farms. “Right now, as you may know, H1B visas are awarded by random lottery. And many people will be surprised to know that about 80 percent of H1B workers are paid less than the median wage in their fields. Only about 5 to 6 percent, depending on the year, of H1B workers command the highest wage tier recognized by the Department of Labor, there being four wage tiers. And the highest wage tier, for instance, in 2015, was only 5 percent of H1B workers.